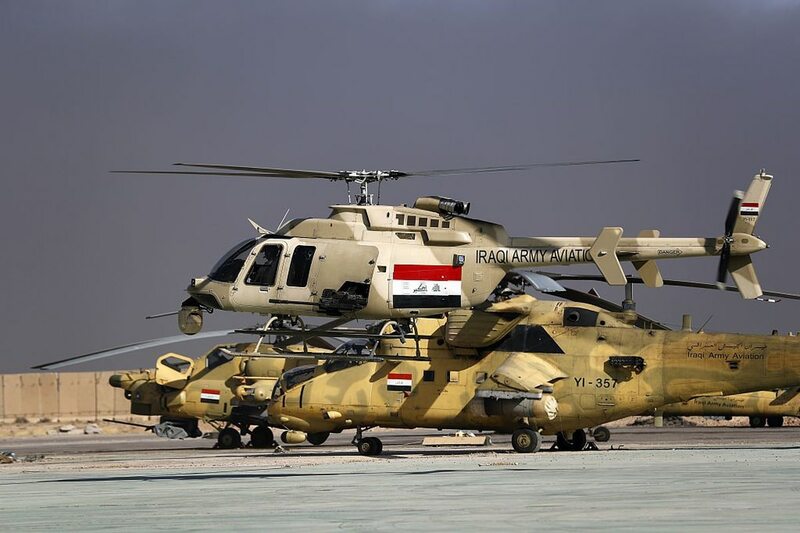 WASHINGTON — The U.S. State Department has cleared a pair of proposed military sales — armed helicopters for Iraq and surveillance planes for Canada — with a joint price tag of more than $380 million. The two notifications were posted on the website of the Defense Security Cooperation Agency on Thursday evening. Notifications are not guaranteed sales; members of the Senate could still choose to block the potential sale, and once it passes Congress, sale negotiations can change quantities and dollar figures. The larger of the two packages is the Canadian one, which covers three King Air 350ER aircraft with “customer unique post-modifications for Intelligence, Surveillance and Reconnaissance” requirements. Along with the platforms comes a package of equipment, including three WESCAM MX-15D electro-optical and infrared imaging sensors; three AN/AAR-47B(V)2 missile and laser warning systems; three AN/ALE-47 countermeasure dispenser systems; three VORTEX Dual RF Ku LOS transceivers; three COMSEC modules (KGV-135A); two APM-424(V)5 transponder test sets; five KIV-77 Mode 4/5 crypto applique computers for identification friend or foe (IFF); three AN/APX-119 IFF digital civil and military transponders; six ARC-210 multimode voice and data transceivers; and three KG-250X National Security Agency-certified type 1 inline network encryptors, per DSCA. Work will primarily be done at the Wichita, Kansas, facility of Beechcraft, a subsidiary of Textron. There is expected to be an industrial offset included in the deal. Also included in the package are five RF-7850A secure communications radios; five AN/AAR-60 MILDS automatic plume detectors; five AN/ALE-47 airborne countermeasure dispenser systems; five M3P .50-caliber machine guns; five M260 rocket launchers (APKWS configuration); five MX-15Di EO/IR sensors; five GAU-19 .50-caliber machine guns; and various other components. Work will be done at Bell’s Fort Worth, Texas, location; L3 WESCAM’s location in Ontario, Canada; Tekfusion Global’s Williamsburg, Virginia, location; Harris’ Melbourne, Florida, facility; and Fulcrum Concepts’ office in Mattaponi, Virginia. There are no known offsets.